Disclosure: The Kate Somerville moisturizer was sent for consideration and the Sibu Scrub was won in a giveaway. All opinions are my own. I wish I could forget my teenage acne. It made me feel ugly, and hurt my self esteem. While I only get the occasional blemish these days, I’m left with acne scarring. I’ve found laser treatments to be very painful (and expensive!, and fillers are only temporary. Here are some of my at home tricks for getting rid of/covering my acne scars. 1. Exfoliate: I like using a scrub to exfoliate my face 2-3 times a week. It helps remove dead skin cells. Over time it can also even your skin tone, and diminish the look of dark spots. My fave: Sibu Sea Buckthrorn Scrub is gentle, smells great ,and all natural! 2. Moisturize: Dry skin will only makes your icepick scars look even more sunken in/pronounced. Moisturizers help plump up the skin around the area. My fave daytime moisturizer: Clinique Pore Refining Solutions Stay-Matte Hydrator which leaves my skin velvety soft without making my tzone oily. 3. Retinol: Over time Retinal has been clinically proven to even the tone and texture of skin. It can help fade discoloration and help diminish the look of ice pick scars. My fave nighttime moisturizer: Kate Somerville ‘RetAsphere’ 2-in-1 Retinol Night Cream is effective yet gentle enough for everyday use. Wearing foundation can often make acne scars look even more pronounced by settling into them. Help prevent this with a silicone based primer. My favorite: Smashbox Photo Finish Primer helps even my skin texture with its colorless gel like formula. 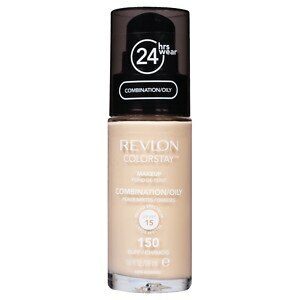 Use a full coverage foundation to help diminish dark spots. Draw attention away from your problem areas. Mine are my cheeks and my temples so I chose to play up my eyes with complex shadow, and lots of mascara! Are yours on your forehead? Try contouring the heck out of your cheekbones or wearing a bold lip. If people are focused on that, they won’t even notice yours scars! What is your best acne scar tip? Those nice tips to get of scars. Definitely girls with scars should try these tips first. Along with these tips, they should try natural remedies too. Glad I found this – I also suffer from acne/eczema scars and am going to try the retinol cream and primer! Thanks! Great tips! I’m a big fan of the bold lip, as it draws attention away from problem areas, and makes me feel more confident.